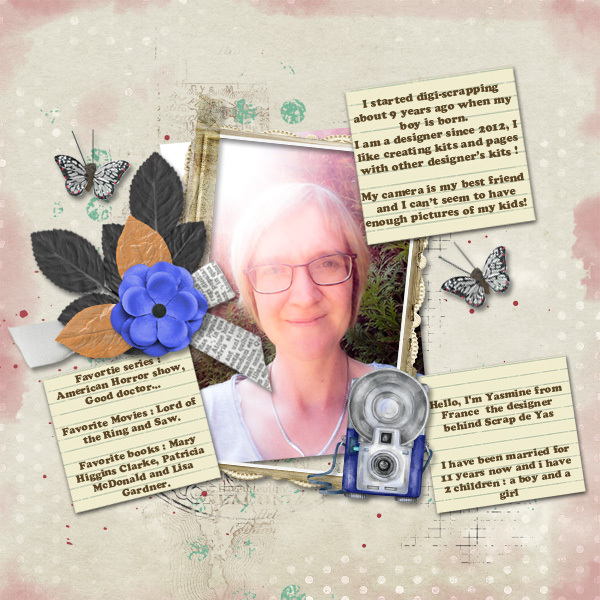 MyMemories Blog: Meet Featured Designer Scrap de Yas! Meet Featured Designer Scrap de Yas! My name is Yasmine, AKA Scrap de Yas. I spend most of my time designing or scrapping my photos. I love to make photobooks with my children photos. My daughter (7 years) want to make pages with me, she's very creative! So.... enjoy 40% off my ENTIRE shop from April 9th until April 15th.